Aronovitch, Davida . "Poutine". The Canadian Encyclopedia, 20 December 2018, Historica Canada. 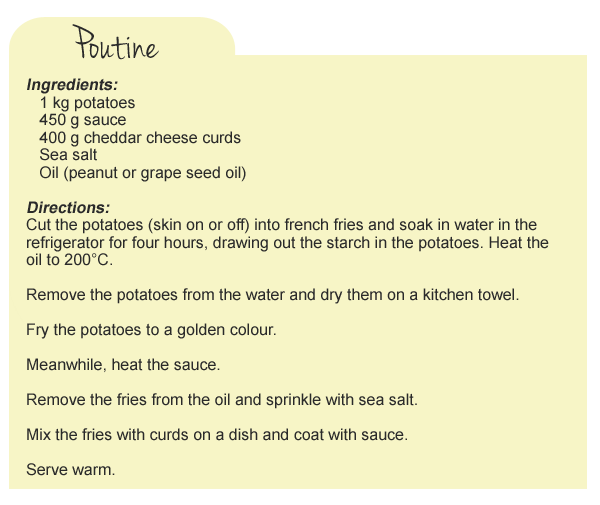 https://www.thecanadianencyclopedia.ca/en/article/history-of-poutine. Accessed 25 April 2019. Poutine is a Québécois dish made of fresh-cut french fries topped with cheese curds and gravy. It first appeared in 1950s rural Quebec snack bars. 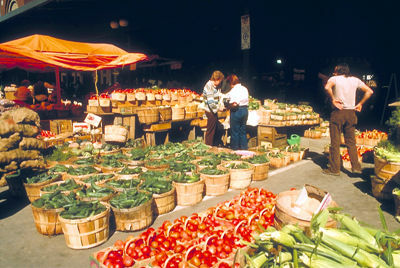 It was widely popularized across Canada and beyond in the 1990s. Poutine may be found everywhere from fine dining menus at top restaurants to fast-food chains including McDonald’s and Burger King. 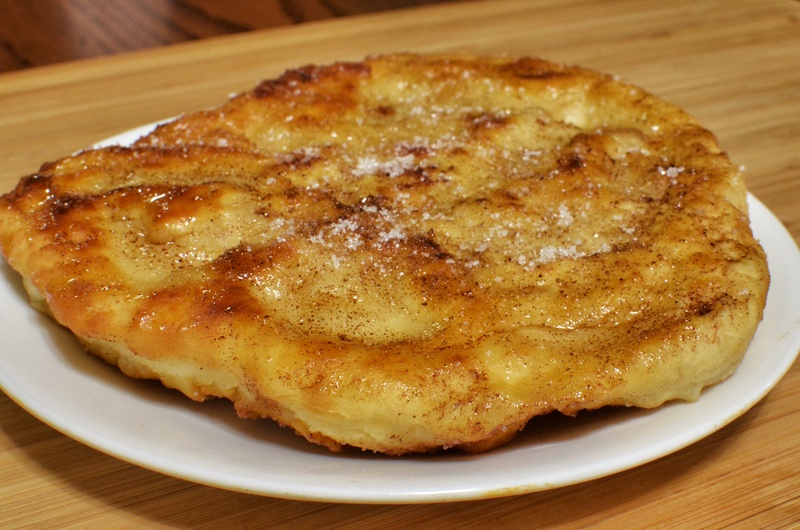 It has become an iconic symbol of Québécois cuisine and culture. Fries with cheese in gravy, a classic dish from Quebec. While poutine is now available at fine restaurants and fast-food chains alike, it was completely unknown in the mid-20th century. 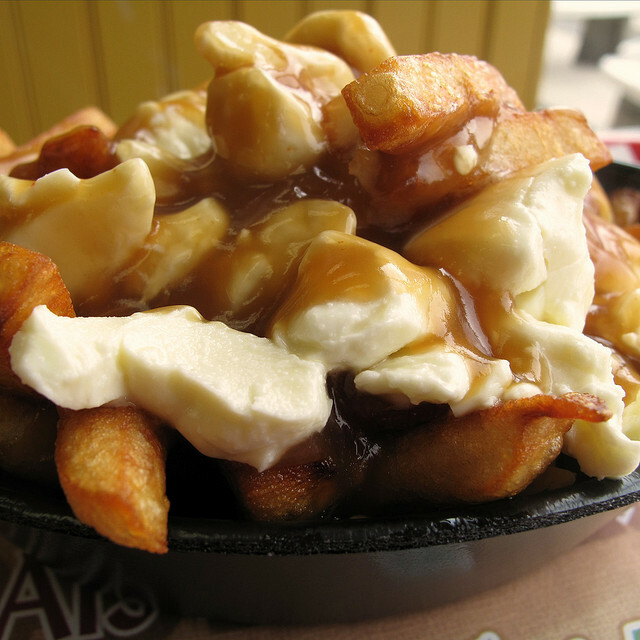 The combination of fresh-cut fries, cheese curds and gravy first appeared in rural Quebec snack bars in the late 1950s. Though the precise origins of poutine are much debated, in most cases, the dish was developed in stages. Proximity to fromageries producing cheese curds in Centre-du-Québec was one key ingredient. Within the area, several towns and families lay claim to poutine’s creation. In Warwick (near Victoriaville), Fernand Lachance of Café Ideal (later renamed Le Lutin qui rit) has said that he first added curds to fries at the request of Eddy Lainesse, a regular customer, in 1957. Lachance reportedly replied, “ça va te faire une maudite poutine!” (“that will make a damned mess!”), before serving up the concoction in a paper bag. The combination became popular, with diners customizing the dish by adding ketchup or vinegar. In 1963, Lachance began to serve the dish on a plate to contain the mess left on his tables. When customers complained that the fries grew cold too quickly on the plate, he doused the fries and curds with gravy to keep them warm. In Drummondville, Jean-Paul Roy claims that he invented poutine at his drive-in restaurant Le Roy Jucep in 1964. He had been serving fries in a special sauce since 1958, in a dish he called patate-sauce. When he noticed that customers were adding cheese curds (he sold them in bags at his snack counter) to their fries, he added the dish to his regular menu under the name fromage-patate-sauce. Notably, Roy had to travel to Toronto to find a vendor who could provide containers sturdy enough to hold the mixture. The word poutine is commonly believed to have originated from the English word pudding (or as it were in French, pouding) used to describe a mixture, typically messy, of various foods. In Québec, the term poutine is slang for mess. More than a dozen other explanations have been offered, including the root of the French words potin (pâté) and poutitè (potato ragout). After the dish gained popularity in the small towns of south-eastern Quebec, it arrived in Quebec City in 1969 (at the Ashton Snack Bar food truck on boulevard Hamel) and in Montreal in 1983. A popular street food, poutine became a common offering on chip truck menus in Quebec and Ontario. As poutine’s popularity spread, various iterations began to appear, such as Italian poutine (made with spaghetti sauce or sausage in place of gravy), veggie poutine (made with mushroom sauce and vegetables) and Irish poutine (made with lardons). Regional variations included la galvaude from Gaspésie, prepared with chicken and green peas, and Montreal-style poutine, made with smoked meat, to name but two. By the 1970s, a version of the dish appeared as far afield as New York and New Jersey, where it was known as “disco fries” and made with shredded mozzarella instead of traditional cheddar cheese curds. Nonetheless, purists consider authentic poutine to be that which contains such “squeaky” cheese curds as those produced in the area of its origin. Poutine was first sold in a restaurant chain in 1985, by the short-lived Québec franchise Frits (the company folded in 1988). In 1987, Jean-Louis Roy, a Quebec-based Burger King franchisee, convinced the chain to offer poutine on its menu. 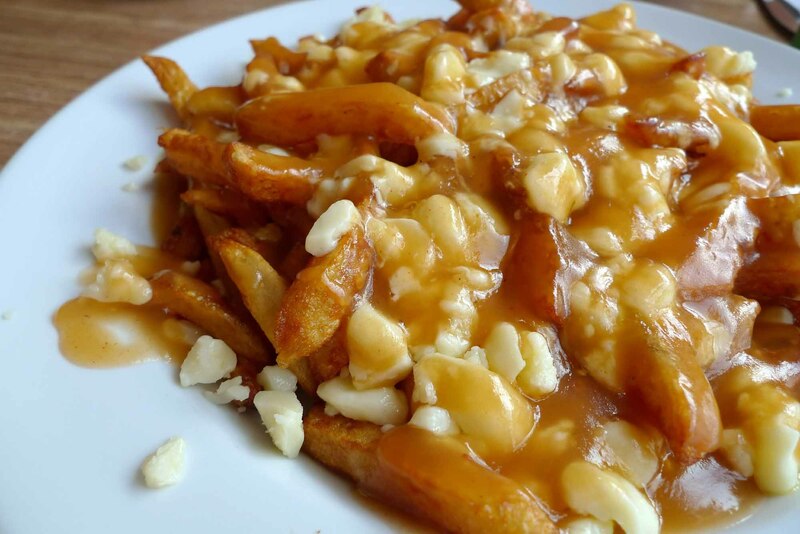 The dish proved so popular that the brand began selling poutine in all of its Quebec outlets, and in Hawkesbury, Ontario, the following year. McDonald’s catapulted poutine to fast-food fame when it added the dish to Quebec store menus in 1990 before expanding the offering to other Canadian locations. Canadian chain Harvey’s followed suit in 1992, placing poutine on menus across the country. Specialty poutine chains and restaurants later popped up in Canadian cities, including Smoke’s Poutinerie (2008) and Poutini’s House of Poutine (2009). Beyond the United States, poutine spread to many countries including the United Kingdom, Korea, and potato-friendly Russia, where it has been referred to as Raspoutine. While poutine is for many an unlikely choice for haute cuisine, the sturdy classic became a chef favourite during the comfort food revolution of the 2000s. During the back-to-basics food movement, chefs began creating high-end twists on nostalgic favourites — including hamburgers, mac and cheese and poutine. Celebrated Montreal chef Martin Picard of Au Pied de Cochon was the first to elevate poutine. In 2002, he introduced his often-imitated foie gras poutine, combining high and low Quebec cuisine on a single plate. Gourmet poutines began to appear on menus at high-end restaurants in other cities such as Toronto, where lobster poutine was plated at chef Mark McEwan’s Bymark restaurant and braised beef poutine at chef Jamie Kennedy’s now defunct namesake restaurant. Poutine has also been the subject of political spin and satire. In 1994, then-Reform Party leader Preston Manning attempted to improve his anti-Quebec image by being photographed eating poutine at (now defunct) Ben’s deli in Montréal. The stunt backfired — many Québécois were quick to point out that Ben’s was best known for smoked meat, not poutine, and claimed that the event merely exposed Manning’s ignorance of Quebec culture. Some Canadians have expressed ambivalence toward the dish and what it signifies. It has been suggested that poutine’s humble beginnings in rural snack bars, truck stops and food trucks, and its use of cheese curds — which are often considered a typically small-town indulgence — make it indicative of working-class culture. 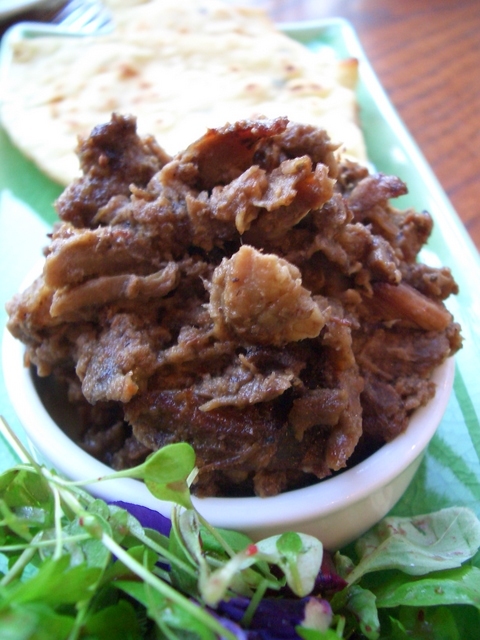 Its characteristic messiness and caloric quantity are also often cited by critics.